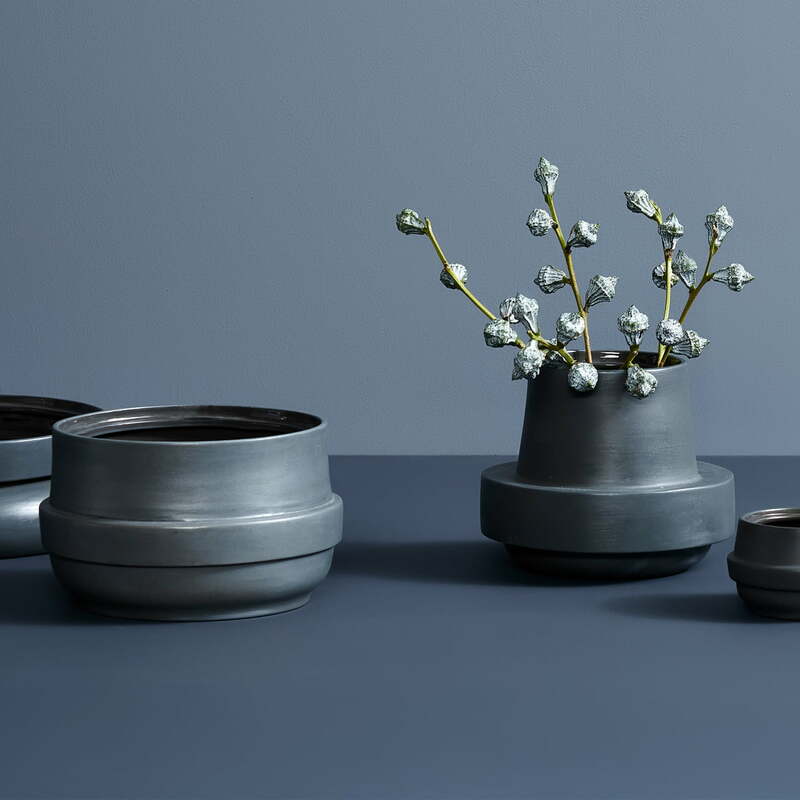 The limp flowerpot was designed by Silje Nesdal and Ann Kristin Einarsen for Woud. 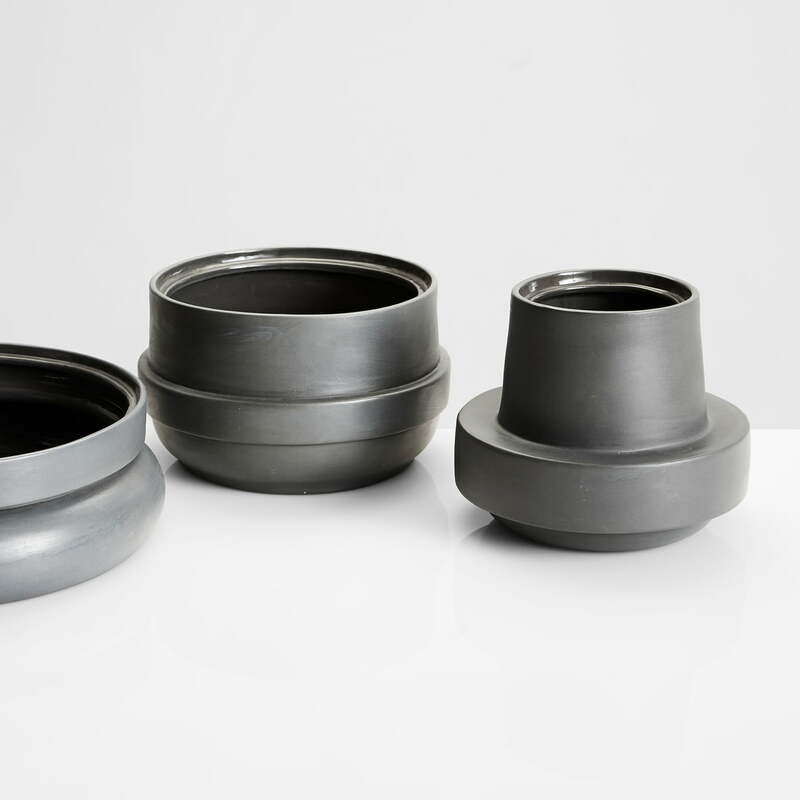 The inspiration for the Hinken series were casts of everyday objects such as buckets and bowls. These were then disassembled, combined and assembled into new compositions and constructions. The shapes of the ceramic pots then revealed themselves in a playful process. 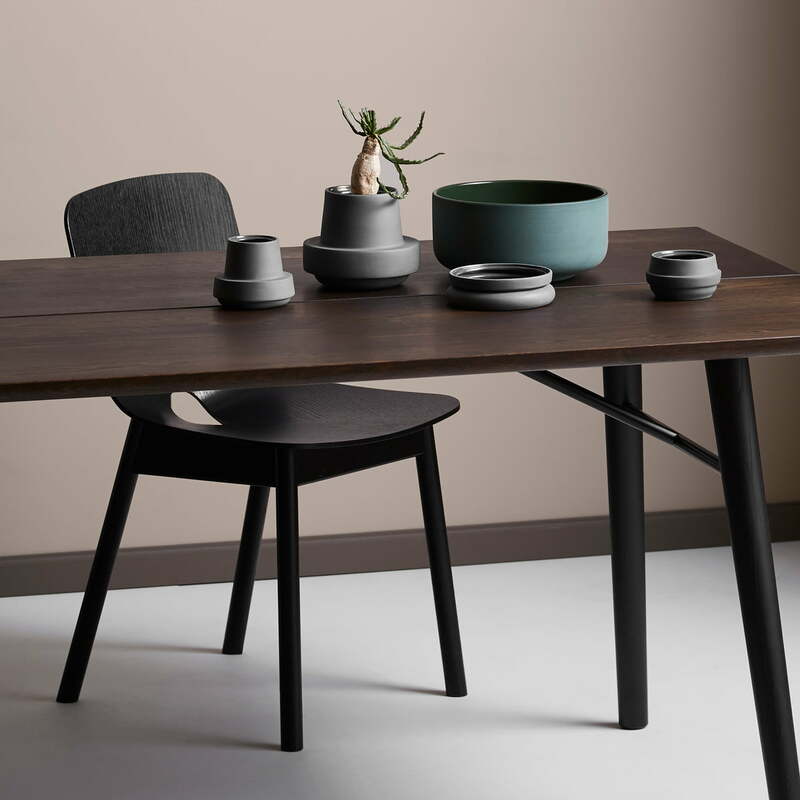 The Hinken pots combine frosted exterior glazing with glossy interior glazing, giving the pots both a smooth and coarse appearance. 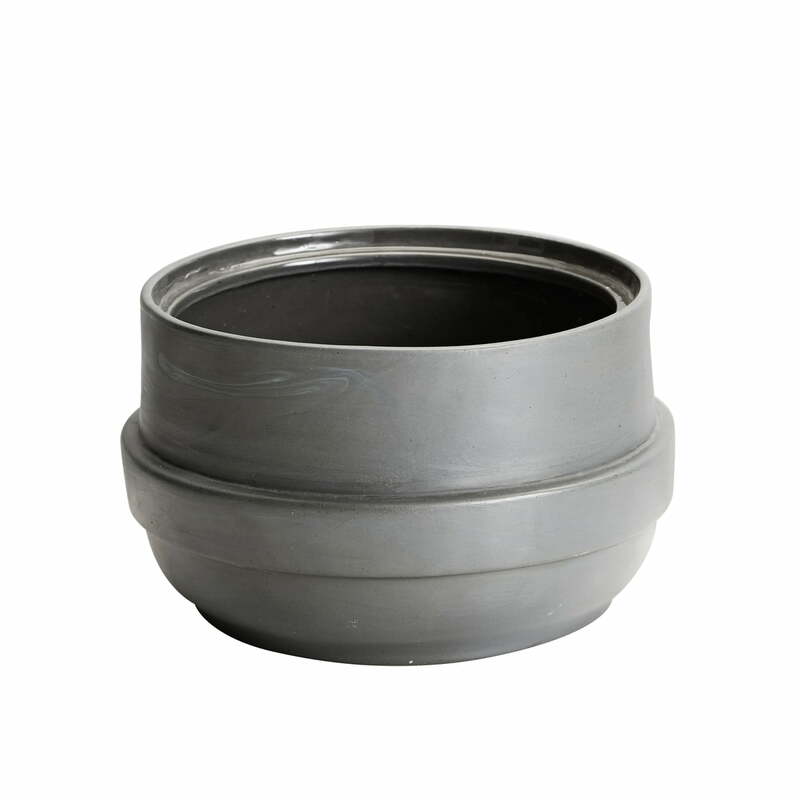 The Hinken flower pots are available in different shapes. 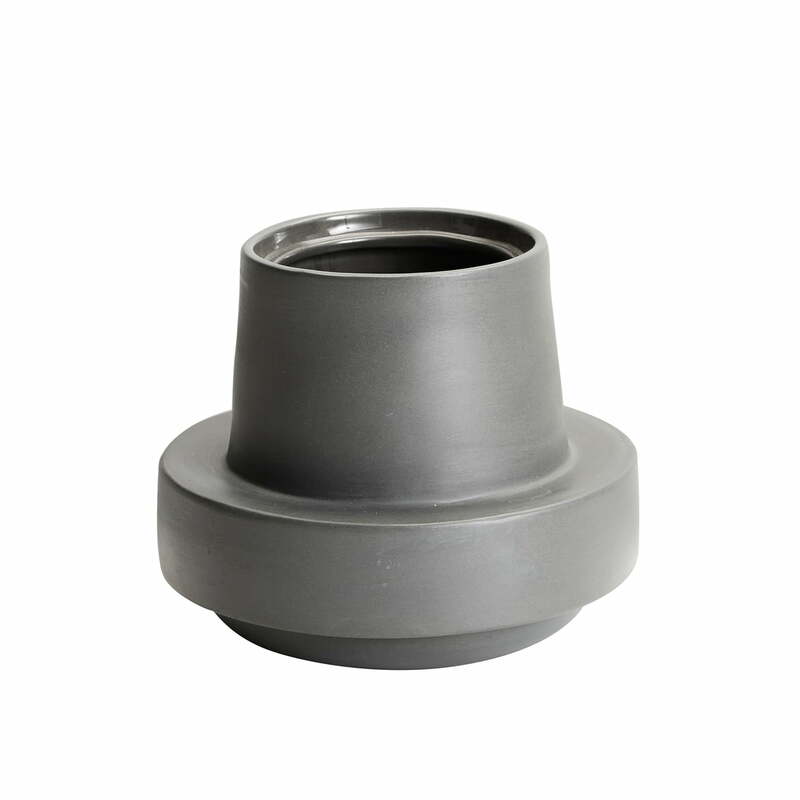 The limp flowerpot H 13,5 cm from Woud in dark grey in single view. 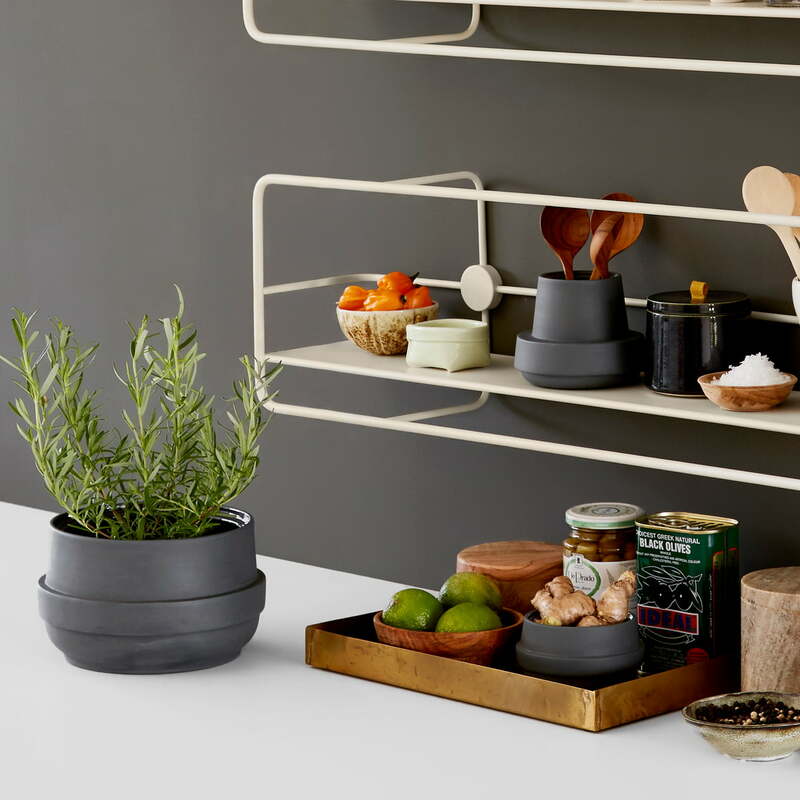 The limp flowerpot was designed by Silje Nesdal and Ann Kristin Einarsen for Woud. The inspiration for the Hinken series were casts of everyday objects such as buckets and bowls. These were then dismantled, mixed and assembled into new compositions and constructions.